Debug source code under dashboard-builder. Execute above commands will generate dashbuilder-VERSION-wildflyX.war under ‘dashboard-builder/builder/target’ folder, this war need deploy to a running WildFly Server. security-role - lists all the security roles used in the application, these roles should be mapped with roles exist in Application Server, in WildFly, map roles to a specific appication via security-domain which defined in jboss-web.xml file. 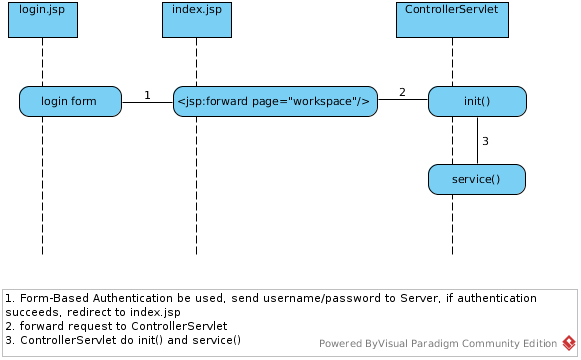 security-constraint - define the access privileges to a collection of resources using their URL mapping. web-resource-collection specifies a list of URL patterns, auth-constraint specifies whether authentication is to be used and names the roles authorized to perform the constrained requests. login-config - define authentication method, in above configuration, Form-based authentication be defined, refer to below Form-Based Authentication for more details. If the client is unauthenticated, the server redirects the client to a login page. The client submits the login form to the server. The server attempts to authenticate the user. 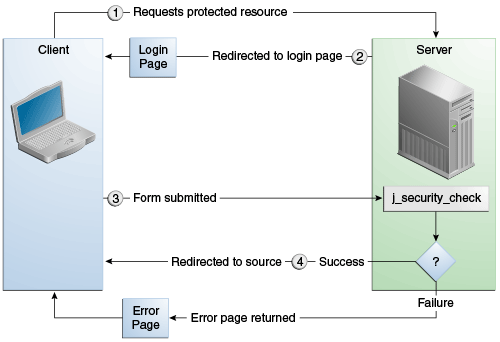 If authentication succeeds, redirect to requested protected resource, If authentication fails, redirected to an error page. Note that, the action of the login form must always be j_security_check, the input name must be j_username and the input password must be j_password. Started from Servlet 3.0, web-fragment.xml be introduced for pluggability of library jars which are packaged under WEB-INF/lib, The content of web-fragment.xml are almost same as web.xml, the web-fragment.xml be placed under classpath’s META-INF folder. The following will dive into ControllerServlet init. Startable HibernateInitializer start initializes the Hibernate framework. It reads all the *.hbm.xml files and push them as part of the Hibernate configuration. 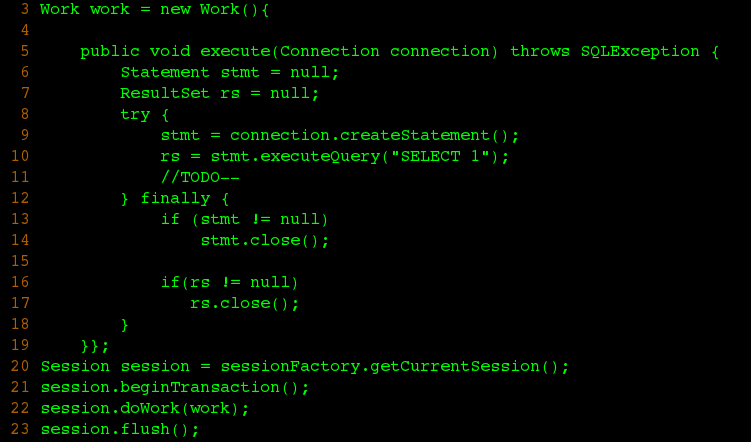 Furthermore, initializes a SessionFactory object that will be used further by transactions.